Below is a list of some of our favorite people to work with. Feel free to contact them if you are in need of any of their services. Please mention that SoCal Mobile DJ referred you. Description: The Marriott Fullerton Hotel just North of Anaheim, CA is designed to meet your every need. Our fashionable accommodations and casually elegant atmosphere are well suited to our ideal location. Adjacent to the California State University, Fullerton campus and a short drive from Anaheim, Disneyland Resort, Knott's Berry Farm and the Orange County/John Wayne Airport in Santa Ana. Other convenient airports are Ontario, Long Beach and Los Angeles International Airport. Nearby cities include Brea, Placentia, Yorba Linda, Diamond Bar, La Habra, La Mirada, Buena Park, Walnut and Anaheim Hills. Wedding planners and day of coordinators. Description: JenEvents will make sure that your day is just that - your day. Our goal is for you to be able to enjoy every minute of it without having to worry about anything. Whether it is one month or one year from your special day, JenEvents will be there for you every step of the way. From designing invitations, to researching vendors, to planning your DIY projects, we will help in any way we can. We at JenEvents believe in building a great relationship with our clients to make them feel at ease when relying on us. Description: We strive to bring together all of the details in order to make your event perfect and stress free. We really mean it when we say stress free. From the biggest pieces all the way down to the smallest details, we will plan everything! We can even choreograph your first dance and work with you in customizable dance lesson packages! 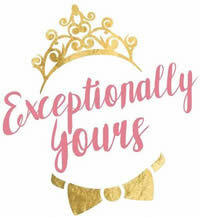 Here at Exceptionally Yours, we are known for tailoring each event specifically for your needs, because we know that not every bride, groom, guest of honor or company is exactly the same. Description: At Sweetest Love Events, we live for the moments that touch the heart and touch the soul. We specialize in delivering you a smooth, beautiful, & fun-filled wedding day. We enjoy every minute of helping brides & grooms have the wedding day of their dreams, and for us, there is no greater reward! Description: Month-of Coordination, Partial and Full Planning Services. Custom pricing and a la carte services available. Description: Yelps Highest Rated Video Company in Long Beach, Backed by the Knot and shoots over 70 weddings a year! We want to tell your story! We give back to ALS and local school video programs. Description: Moses Lin is a fingerstyle guitarist who specializes in instrumental versions of popular songs for weddings, cocktail hours, private parties and more. Your guests will be amazed when they hear melodies, chords, bass lines, and percussive beats coming from just one guitar. Sam Marsey curates a cool, sophisticated soundtrack with timeless character and remarkable honesty. He understands that each event requires a unique musical vibe to reach its fullest potential, and his gift is knowing how to take it there. With a catalog of fresh arrangements from classic Motown to funky pop, Sam Marsey is the main ingredient to elevate your most special moments into unforgettable memories. Description: Intricately handmade wedding veils, bridal hairpieces, garter sets and accessories. We are “Redefining Elegance” at One Blushing Bride, where every accessory is 100% handmade in my studio in sunny California. Send me an e-mail so that we can collaborate on a customized, heirloom-quality bridal veil that is as unique as you. Yours to treasure and pass on.